The first movement of local Aboriginal volunteers got together and held meetings at Tjalkawarra to talk about establishing an Aboriginal Medical Service in Hedland; this was the vision of local leader, the late Mr L Brown, (dec); assisted by Ron and Mary Attwood and Mrs Pat Kopusar. A taskforce and Management Committee was established to work on developing the constitution to establish an Aboriginal Medical Service in Hedland. It was this core group of committed and active members that made the vision a reality. The constitution was finalised and the Hedland Aboriginal Health and Medical Service Aboriginal Corporation, was incorporated under the Aboriginal Councils and Associations Act (1976), commenced operations in August 1993 however, the service wasn’t officially opened until 1997. In May this year, Wirraka Maya commenced the delivery of clinical services. The Traditional Owners (Kariyarra people) at a bush meeting held at Yule River, changed the name of the service to “Wirraka Maya Health Service Aboriginal Corporation” (quote by the late Mr N Williams (dec), a well known and highly regarded Aboriginal Kariyarra Elder. Wirraka means “Sick” and Maya means ”House”). 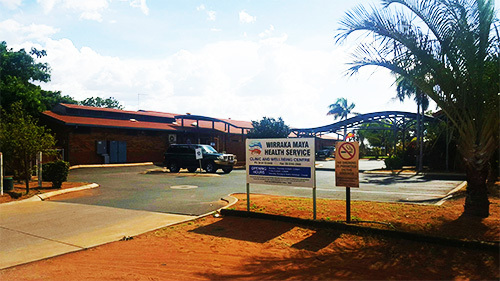 The service was originally set up and commenced operations at the Moorgunya Hostel facility in Port Hedland, while an application was being prepared to obtain funds for a purpose built facility. The Development Officer, Mrs Pat Kopusar worked tirelessly to bring the service into fruition. The appointment of the first official Coordinator for the service was Mr Parmus Pillay, he resigned a short time later and Pat Kopusar acted in the role until it was filled. Dr Pascall Burton was appointed as the Medical Officer and assisted with the establishment of the clinical functions of the service. Support services was provided to surrounding communities including: Tjalka Warra, Tjalka Boorda, Jinparrinya and Ngarla- Coastal Nyamal in the Hedland area and other more remote communities including: Warralong, Brockman, Strelley and Woodstock. At that time there were approx. 15 staff, which included a GP, Aboriginal Health Workers, transport officers and remote nurses and Wirraka Maya up until 1999, only provided primary health care services. The client base increased rapidly to over 1,800 files in the first 18 months. In March Julie Walker was appointed as Director. 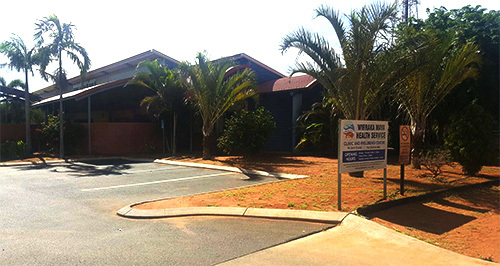 In August the same year, Wirraka Maya relocates to the current location at 17 Hamilton Rd, South Hedland and had a budget of just over $500,000. The merger of Mirtunkarra Health Service (Warralong) increased our budget to almost $1million. The first application for a program outside the primary health care was submitted hence the Visual Impairment Program becoming the first program managed by the clinic. The first Aboriginal Health Worker training in the Pilbara was conducted at Wirraka Maya Health Service. A review was done on the Family Futures Programs due to loss of funding. Wirraka Maya was engaged to take over the funds and run the programs. This brought the introduction of the Bringing Them Home, Solid Families and Family Violence and other regional programs into the permanent operations of Wirraka Maya. Goodabinya Community clinic (Marble Bar) was established to provide services to the families that moved to town from Warralong community. The Strelley clinic was in the process of being built but was not able to be used due to the damaged caused by cyclone and cuts to the essential services in the community. WMHSAC became the No.1 site for the NAACHO ear trial, also was the first time we did the intercommunity youth basketball comp. Saw a session of program development, sexual health, child health and chronic disease in the clinic. We undertook a short term community development project resulting in recurrent funding for community development programs that included additional positions. We gained AGPAL Accreditation. Only the 5th ACCHO to have this accreditation in Western Australia. WMHS established the first AHW training in the Pilbara. WMHS also initiated the Pilbara Aboriginal Health Planning Forums and took the lead role in the establishment of a united regional health body, the Federation of Pilbara Aboriginal Health Service. SEWB Centre was completed, opened and quickly become a focus point for assessment, referrals, counselling and advocacy. The SEWB centre was launched in October 2006. In addition there was the upgrade of the clinics at Warralong and Strelley. In September 2006, Julie Walker resigned as Director after 7 years with Wirraka Maya and Wendy Clinch took up the role of Director in October 2006. Marked the 10th Anniversary of Wirraka Maya Health Service. Cyclone George devastated the Strelley community which saw the infrastructure destroyed and the residents had to relocate to Warralong or Port Hedland until facilities could be rebuilt. In 2007 Wirraka Maya was required to change to the new CATSI ACT 2006 and was given a 2 year period in which to make the transition. AGPAL Accreditation was achieved again this year. The purchase of a bus with full fit out for a mobile clinic was approved for the Chronic Conditions Outreach and health promotions and education programs.